Donor Spotlight: Chatura De Silva and Project Pursuit of Happiness - Planet Aid, Inc. 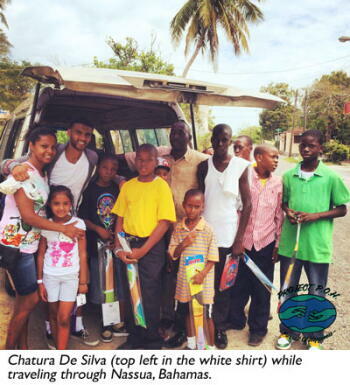 Planet Aid would like to recognize one of our donors, Chatura De Silva. He is the founder of Project Pursuit of Happiness, an organization that strives to improve the quality of life and ensure a secure and safe living condition for all. De Silva recently donated clothing collected through Project P.O.H. to Planet Aid. We are grateful for the partnership and support of a dedicated individual like Mr. De Silva, whose work is helping so many in need. Chatura De Silva exemplifies how to turn tragedy into triumph. After a drunk driver killed his mother in 2010, he became inspired to help others as a way to honor her. A year later he volunteered with the Sri Lankan Youth Organization, an organization founded by his sister that helps young immigrants from Sri Lanka stay in touch with their roots and get involved in their communities. The group traveled to Sri Lanka (where De Silva spent the first three months of his life before moving to the U.S.) to build a library. De Silva recalls how grateful the local children were to receive a gift as humble as a pencil case full of school supplies. “I see these kids looking at this pencil case like it’s the greatest thing they’ve ever gotten. So that brought me to tears,” he says. Wanting to do more, De Silva founded Project Pursuit of Happiness, or Project P.O.H., in 2013. De Silva saved up money to travel throughout developing countries, entrenching himself in impoverished areas to develop a better understanding of how he could help those living there. 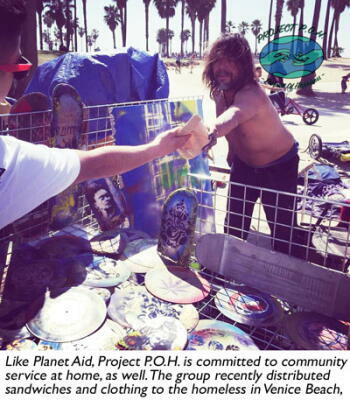 He was able to make connections with local community leaders and, upon returning to the United States, began collecting and shipping donated clothing to these communities. So far, Project P.O.H. has established beneficiary partnerships within Sri Lanka, Brazil, the Bahamas, Haiti, and Tanzania. De Silva was inspired to reach out to Planet Aid after seeing the signature yellow donation bins and doing research on clothes collecting charities in the area. “I went on the website and I looked what you guys did, just as far as being able to send stuff to Africa and you guys creating workshops...I’m like a mom and pop shop and you guys are a like a bigger version of what I do,” he says. De Silva decided to allocate around 650 pounds of clothing he had collected through Project P.O.H. to Planet Aid. To learn more, visit the Project Pursuit of Happiness website. You can also connect with them on social media through Facebook, Twitter, and Instagram. Interested in partnering with Planet Aid? Contact your local office to speak with a representative.